Oulu is a city and municipality of inhabitants in the region of Northern Ostrobothnia, Finland. Get out of town with these interesting Oulu side-trips: Tornio (The Provincial Museum Of Tornio Valley, Tornio Golf, & more), Luovon Puoji (in Hailuoto) and Kalajoki (Maakalla & Jukupark Kalajoki). On the 16th (Tue), ski the day away in the pristine settings at Syote Ski & Nature Resort. 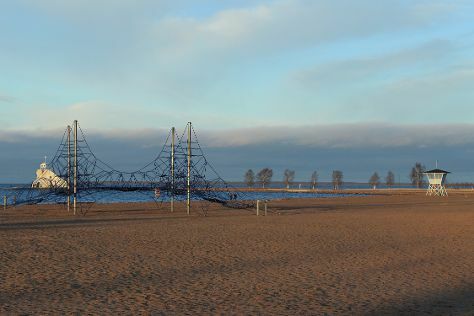 The adventure continues: enjoy the sand and surf at Nallikari Beach, stroll through Ainolan Puisto, get a taste of the local shopping with Kauppahalli, and test your team's savvy at popular escape rooms. To find ratings, reviews, where to stay, and more tourist information, refer to the Oulu road trip planning tool . In July, daily temperatures in Oulu can reach 23°C, while at night they dip to 14°C. On the 29th (Thu), you're off tohome.